free from defects in material or workmanship under normal use for thirty (30) days from the date of purchase. All returns made during the thirty (30) day warranty period will be offered a full refund or replaced with a new Ctrac device. Ctrac must be returned clean in “as sold” condition and in packaged bag and original shipping carton. The warranty set forth in this paragraph is Seller’s sole warranty with respect to the workmanship or defects in materials of the Products. This warranty is valid for the original retail purchaser from the date of initial retail purchase and is not transferable. Keep the original sales receipt. Proof of purchase is required to obtain warranty performance. Ctrac dealers or retail stores selling Ctrac, do not have the right to alter, modify or in any way, change the terms and conditions of this warranty. Buyer agrees to examine and inspect the Products at once upon arrival at their destination, and if the Products fail to comply with the warranty provided hereunder, Buyer shall promptly give written notice of such failure to Seller. Any claim under this warranty shall conclusively be deemed waived by Buyer unless written notice thereof is given to Seller promptly after discovery, but in no event later than thirty (30) days from the date of sale. 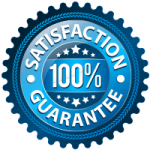 Seller’s responsibility and Buyer’s exclusive remedy under this warranty is limited to the repair or replacement of the Products, at Seller’s option, upon the return of any nonconforming Products to Seller at Buyer’s expense. alteration, use beyond rate capacity, or improper installation, maintenance or application. 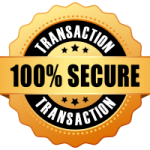 of merchantability and fitness for a particular purpose are hereby disclaimed by seller and excluded from this Agreement. Buyer understands and agrees that Seller cannot guarantee that Ctrac will provide relief of symptoms related to Carpal Tunnel Syndrome in every patient. If buyer is not relieved of symptoms within 6 weeks, he/she should return his/her Ctrac for a full refund of the selling price, excluding shipping charges. This Ctrac device must be used only as instructed and we strongly recommend use under supervision and monitoring of a physician or other health professional. Seller is not responsible for any worsening of medical condition or other damage resulting from the use of Ctrac. It is understood and agreed that seller’s liability hereunder or in connection with the manufacture or sale of the products described herein, whether in contract, in tort, for infringement, under any warranty, in negligence or otherwise shall not exceed the return of the amount of the purchase price paid by buyer. Under no circumstances shall seller be liable for: (1) any damage other than as specified in this section; and (2) special, incidental, indirect or consequential damages. The price stated for the products is a consideration in limiting seller’s liability. Ctrac does not relieve the symptoms of osteoarthritis of the base of the thumb. DO NOT use Ctrac if you have had surgery on the hand to be treated. DO NOT use if you have osteoporosis. DO NOT expose Ctrac to extreme heat. DO NOT use Ctrac if you have suffered a hand or wrist fracture. DO NOT use Ctrac if you have a hand or wrist deformity of the hand being treated. If you do not know if you have any of the above conditions, precluding you from using Ctrac, contact your physician prior to use. Ctrac is made under U.S. Patent # 6,979,305.  Other U.S. and international patents pending and is an FDA-cleared Class One device. Developed by two brothers, Alejandro Porrata, M.D., and Humberto Porrata, M.D., the patented C TRAC medical device offers a non-surgical, patient-controlled treatment option for Carpal Tunnel Syndrome (CTS). The information and recommendations provided on this website are provided for educational purposes only. C TRAC is approved by the Food and Drug Administration for relief of Carpal Tunnel Syndrome. Any recommendations in this website are not intended to replace the advice of your physician. You are encouraged to seek advice from a competent medical professional regarding the applicability of any recommendations with regard to your symptoms or condition. It is important that you do not reduce, change or discontinue any medication or treatment without consulting your physician first. The personal stories shared on this website are personal to the users. Your results may vary.